Raymond Realty is looking to invest Rs 250 crore in its maiden realty project until FY20. Last week, when fashion and textile retailer Raymond Group announced its foray into the real estate development business, many wondered if it would be a successful move considering the challenges facing the sector. Insiders say that the only reason which made the business attractive to the group was a huge land bank located in the heart of Thane, Maharashtra, which it wanted to develop by itself rather than selling it off to some other firm. “In our continued efforts to enhance value for stakeholders, Raymond has forayed into real estate development in order to monetise the land at Thane,” chairman and managing director Gautam Hari Singhania had said in a statement during the launch. Raymond Realty is looking to invest Rs 250 crore in its maiden realty project until FY20. “We intend to build a large integrated township that will have the potential to deliver a lifestyle well above the ordinary and still be in reach,” Singhania had added. 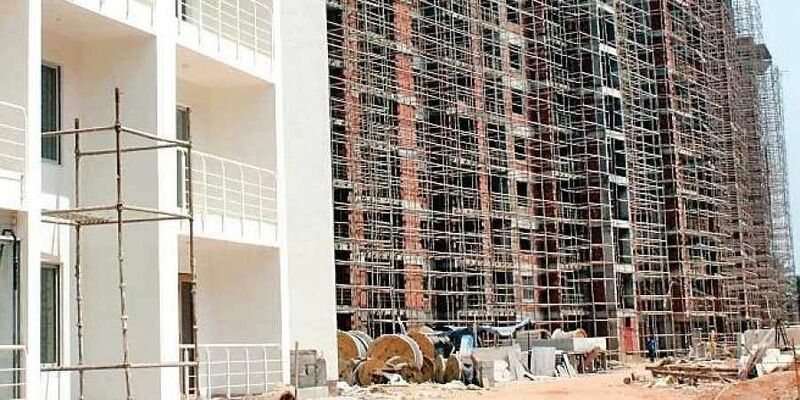 The company is expecting Rs 3,500 crore in potential revenue from the first phase, which will see 3,000 flats put up for sale. Raymond is not the only group to have entered the realty business in order to develop and monetise land banks. Last month, Anil Ambani announced that his flagship -- Reliance Communications (RCom) -- will completely exit the telecom business to concentrate on real estate in the future. The maiden project the firm plans to embark on is the 133-acre Dhirubhai Ambani Knowledge City (DAKC) on the outskirts of India’s financial capital Mumbai, and the company sees potential value creation at the site at a whopping Rs 25,000 crore. RCom already has three million sq ft of built-up space in its kitty which will be leased out to multi-nationals, Ambani had said, adding that he expects revenue accruals to be realised from the project in 2019 itself. However, while such plans sound lucrative, experts claim that the math can be a tricky beast to manage in the realty business which has its own cycle and rules. “It is a very complicated time and the business has undergone a sea change. So, a lot more will depend on the long term strategy, rather than just land banks. Not many developers with land banks have done well,” noted Anuj Puri, chairman, ANAROCK Property Consultants. For instance, Piramal Enterprises, which had made a foray into the sector through Piramal Realty in 2010 is yet to make much progress. Even large players like Godrej Properties have had a tough time cracking the business. Godrej Properties, meanwhile, has only recently begun reporting a profit, primarily by changing their business model and using joint ventures with smaller players.